Our red palm oil soaps are almost here. 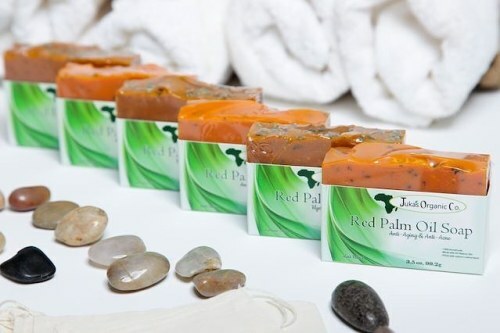 We are super excited and... – Juka's Organic Co.
Our red palm oil soaps are almost here. We are super excited and can’t wait. We will send out a newsletter as soon as they are done so don’t forget to sign up at www.jukasorganic.com if you are one of those patiently waiting. Juka’s All Natural Organic, Red Palm Lavender Soaps never fails us. Once you try this soap, you will never use another soap on your beautiful and delicate face again. Well the proof is in the pudding, look at Juka’s Skin, Radiant.